OEMs and fabricators of rubber products should never underestimate the importance of collaborating with their compounding and formulation development providers. Elastomer compound development isn't only about cost per pound; it's about quality and value. Collaborating with customers to create solutions for demanding applications is what HEXPOL does. We help our customers achieve innovation and product quality, accelerated growth into new markets, and manufacturing flexibility on a global scale. To do that, it's important to look at the big picture. Very few rubber compounders have the resources or interest in a strategic view. HEXPOL, however, has a reputation for developing strategic, operational, supply chain, and financial benefits for our customers. Whatever the challenge – such as material requirements, regulatory changes, or emerging new markets – we help customers in ways most compounders can't. There are three components to rubber processing for compounds delivered to OEMs and fabricators: mixing, shaping, and curing. Simply stated, mixing includes loading ingredients into the mixer, actual mixing, and emptying the compound from the mixer for shaping, cooling, and packaging. If you are not completely satisfied with your current elastomer compounder, you should consider and review such things as their manufacturing technology, quality and testing, research and development, access to raw materials, and knowledge of your industry. You should expect and insist on technology and mixing innovation from your compounder. HEXPOL locations, for example, feature the most advanced processing lines in the industry, with continual investments in automation, new equipment, and proprietary process control systems. Intermesh – The intermesh rotor design is dispersive; particles of a substance are scattered throughout the mix to determine the interaggregate separation and filler network characteristics. Advantages of intermesh rotors include better heat exchange to control temperature. They are suited for complex, difficult to mix compounds that require a long mixing time. Tangential – These rotors can rotate independently and at different speeds. The mixing occurs between the rotors and the mixer's walls. Water is circulated through the hollow rotors and chamber wall to provide cooling or heating. This design is a distributive type rotor that is typically for applications where high-volume mixing is required. NST – This rotor is a hybrid rotor design that is both dispersive and distributive. It is slightly more effective than the tangential rotor but is not as dispersive as the intermesh. A typical production line includes the compounding area, mixers as described above, a finishing mill, batch-off for product cooling, and packaging area. (Insert flow chart from either the old Excel Polymers brochure or the campus equipment material). Be sure that the compounder you work with has similar integrated systems to ensure standardization of the manufacturing and testing processes for superior compound quality – from raw materials to packaged products. Leading compounders such as HEXPOL provide the highest level of product and service quality. Fully automated process systems should be ISO 9001 certified to optimize production, dynamically measure material properties, and eliminate operator influence. Lot traceability should also be provided to protect proprietary formulations, and guarantee batch-to-batch consistency. All HEXPOL locations meet ASTM International standards for rubber and plastics. 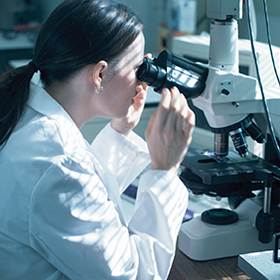 Excellence in Research & Development is the foundation to HEXPOL's position as a world leader in rubber compounding. Leading compounders have scientists and technologists that are among the best in the world. Talk to your compounder to see the credentials of their team and the scope of their R&D capabilities. Again, collaboration is the key to success. At HEXPOL, we partner with customer scientists and consider their processes, technical specifications, and cost effectiveness, as well as the latest in raw materials to develop and commercialize new technologies and solutions. Can you say the same about your compounder? HEXPOL Compounding delivers the latest in formulation development, mixing innovation, and technology. That means optimum finished rubber products and superior value for OEMs and fabricators. HEXPOL is committed to sustainable development and the health and safety of people in the communities where we have production facilities. Our environmental policy addresses management of natural resources, reducing the use of hazardous chemical substances, as well as the reduction of emissions and waste.